In June 2018, the UK communications regulator, OFCOM, decided to sell-off some old equipment and vehicles. 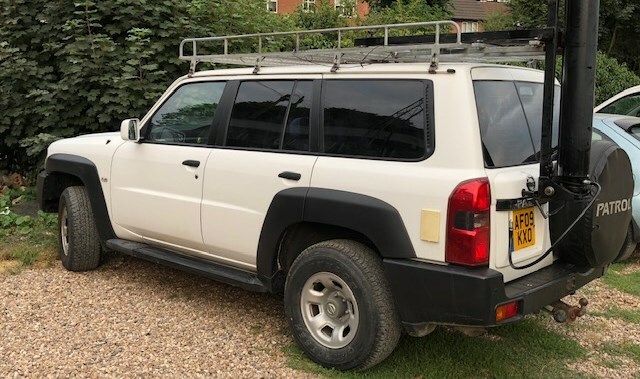 Included within this was a 2009 Nissan Patrol 3.0d which came complete with a 9.6m Clark pneumatic mast (on a retractable roof trolley) and a bench fitted in the rear with mains hookup and 110Ah battery/inverter. In a moment of what I call, absolute clarity (and my family call something else!). I placed a bid on this vehicle and subsequently won it. 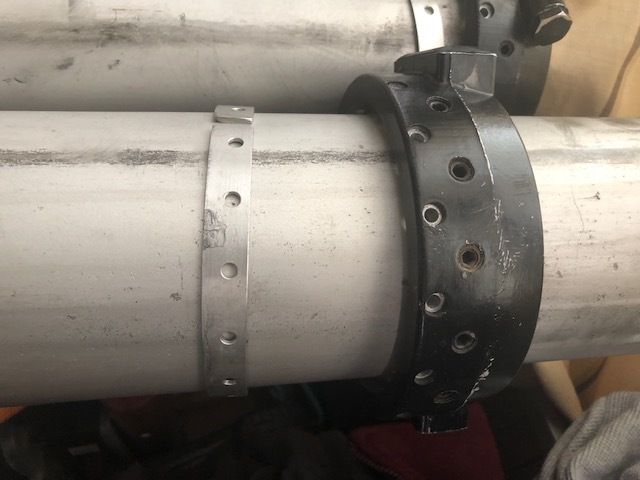 The vehicle didn't come with a compressor for the mast but it did have all of the pipes and mounts so I managed to get the matching compressor on one of the other auction lots. 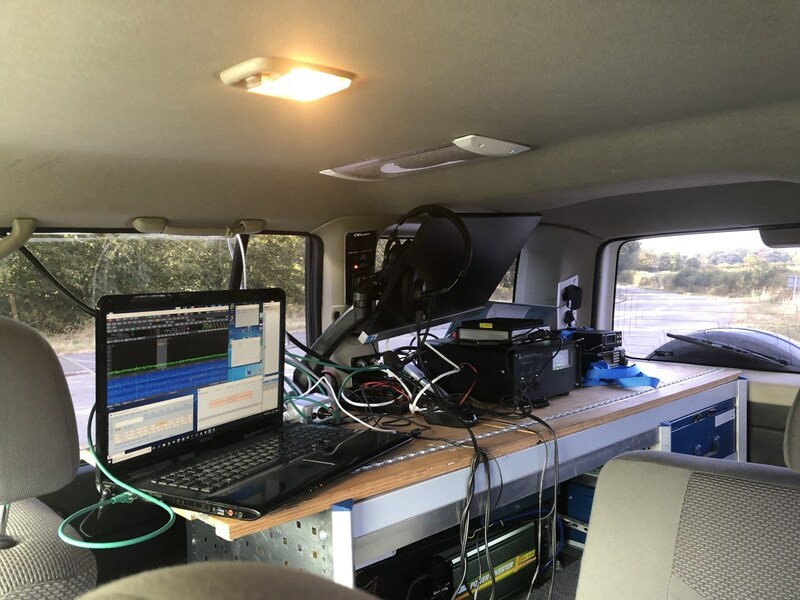 After a trip to the OFCOM Baldock radio monitoring station to collect the vehicle (and some other bits), I started kitting it out for use as a portable "shack". 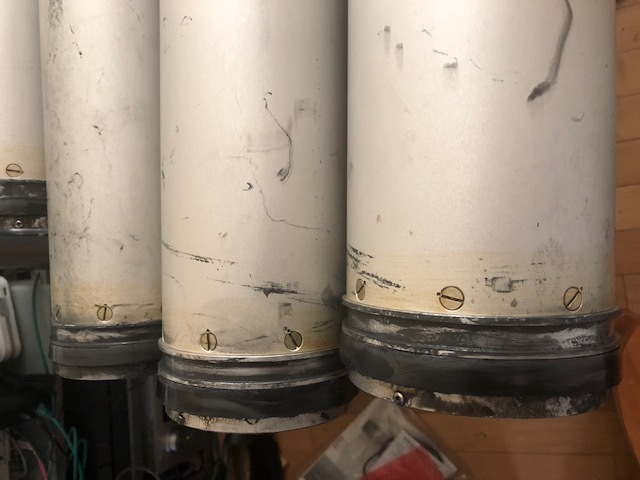 The first job was to refurbish the mast as it hadn't been used for a few years and I suspected that some of the seals had flattened with it being horizontal for so long. 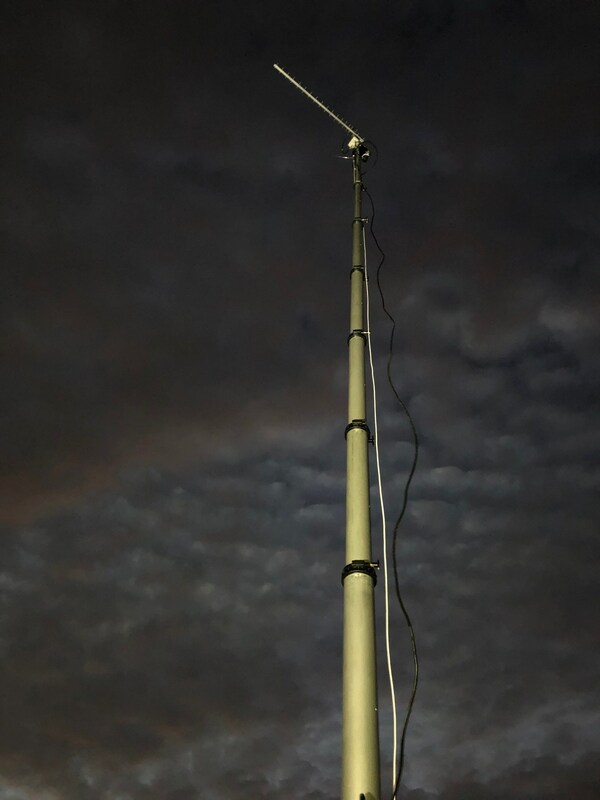 After a call to Clark Masts, they confirmed that it is effectively the same mast as a SCAM12, just without the external cage and with a longer overlap of sections (thus improving stability). 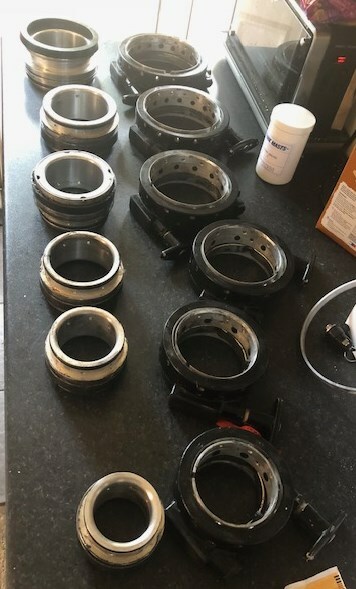 As I already had a spare set of seals for my SCAM12, I set about the refurbishment. Once I had cleaned and re-assembled everything, it was time for the pressure test. This involves extending the mast (without any headload) and pressurizing it to 20psi. After 60 minutes, the pressure is read again and if it is 16psi or above, it is deemed to have "passed". Mine was 18psi so I was quite happy with that! I had decided that I wanted to enter the RSGB UKAC contests. These are run every Tuesday (and some Thursdays) with 2m always being the first Tuesday, 70cm the next and 23cm the third (4m and 6m are on Thursdays). I wanted to keep this seperate from my main shack so decided a new radio was required. I wanted something SDR with a decent panadaptor and direct support for the 2m band. The only real choice at the moment was the Expert Electronics SunSDR2-Pro. This supports 160m to 2m with a number of connections for aerials/transverters etc. 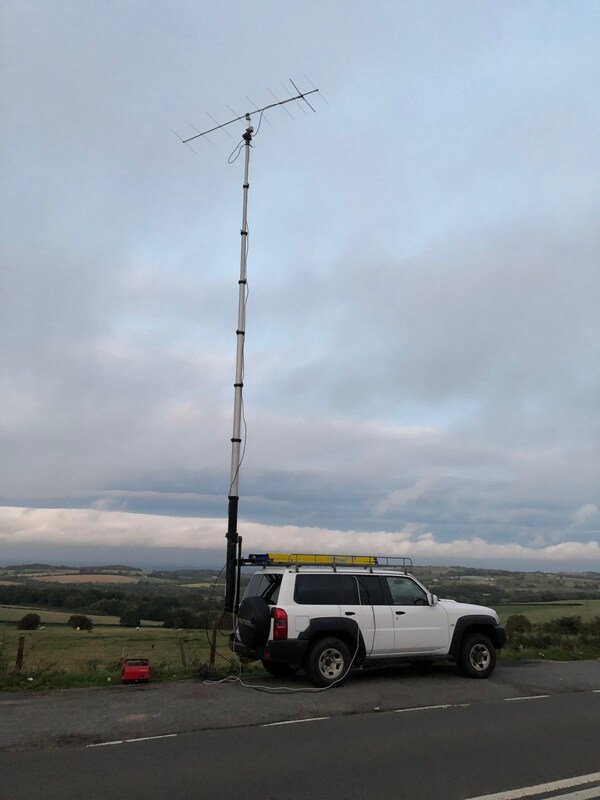 Although it is quite common to use the "armstrong" method for antenna rotation when portable, as I planned to operate from the bench within the Patrol, I thought a rotator would be useful. After much research, I settled on the SPID RAK rotator, I already have another model of SPID rotator and find it is very reliable, what settled it though was the fact that the pipe mount at the base of the rotator was exactly the right size to sit over the top section of the mast! I already had a 9ele Tonna for 2m and a Linear Amp UK Gemini 2 (300w) amplifier, so was set for the first event, which was 2m. Excuse the mess but this was a bit last-minute! Unfortunately, due to some idiot forgetting to bring spare petrol for the generator, it ran out about 1 hour into the contest, I was able to use the battery/inverter but was aware that wasn't ideal. My next outing was on 70cm and I seemed to suffer with noise getting into my "Heath Robinson" coaxial relay so a new relay has been obtained. I also had a problem that the rotator wasn't pointing in the direction that I was setting it. I later realised it was because I had set it to the SPID "BIG RAK" mode which has 1/2 degree steps, not the 1 degree steps that mine has so it was turning twice as much as the controller thought it was! I have since entered 23cm leg of the contest and have learned quite a bit from alll of them which will hopefully help me in my future pursuits. 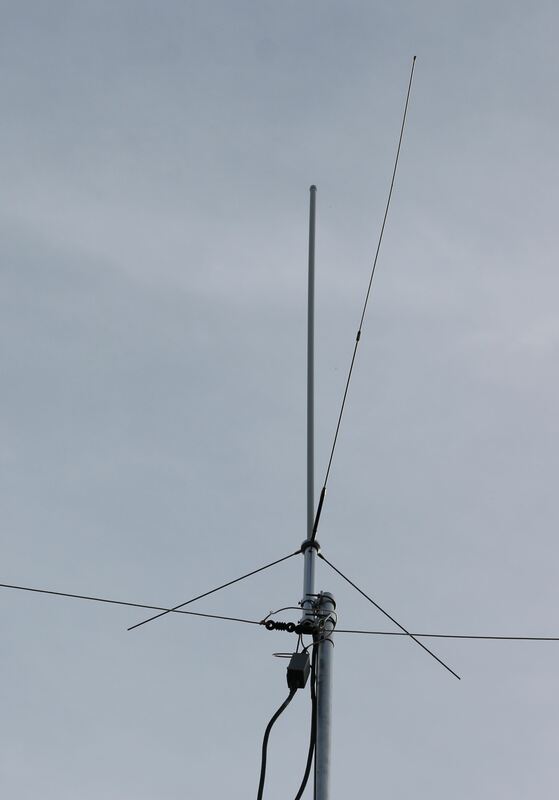 19 element Tonna antenna . Coaxial relay with transistor switching. As covered in another article, I have developed some software called VSELink which pushes spots from N1MM+ into the ExpertSDR panadaptor. A feature that I have recently added to this is the ability to display the panadaptor within the N1MM+ spectrum display feature, I have also added transverter support, as can be seen by this screenshot from 23cm. Grey is worked stations and Red is unworked (and a multiplier). Unfortunately, I couldn't hear any of the red ones.